Starbucks is known for their success story. They started out as a local roasting company in the heart of Seattle, Washington, Pike Place Market. As a local favorite, they fit into the theme of Seattle. The day that Starbucks changed the way the world drinks coffee was the day that Howard Shultz, a businessman in Seattle, had a french press made with Starbucks Sumatra whole bean selection. With the combination of that first sip, and the brains of a businessman, history was made. Starbucks has mastered brand loyalty and brand recognition. Their brand, the Siren, is known world wide. And let’s not forget the infamous green apron! They have marketed an atmosphere, a look, and a taste. Someone could also hate that every time they order a drink, they have to speak Italian words that make them look stupid if they mispronounce them, because the barista corrects them. Or even when the barista misspells a name! There are a lot of common reasons why people hate Starbucks. One of the more popular reason is that people perceive them coming in and forcing their “coffee loving” ways on a town. When Starbucks comes, without trying, they can accumulate hundreds of loyal customers. Laramie, Wyoming recently got their first corporate Starbucks a month ago. Some locals were highly anticipating the arrival of the Green Goddess, in hopes to order their special latte with a side of WiFi. Other people dreaded the company stepping in on their local vibe Laramie. Those people were most commonly associated with a local coffee business. The big question was posed, would local coffee companies be crushed by Starbucks? Who are the local coffee shops in Laramie, Wyoming? There are a number of local coffee shops on Laramie. For a long time, that was all there was. 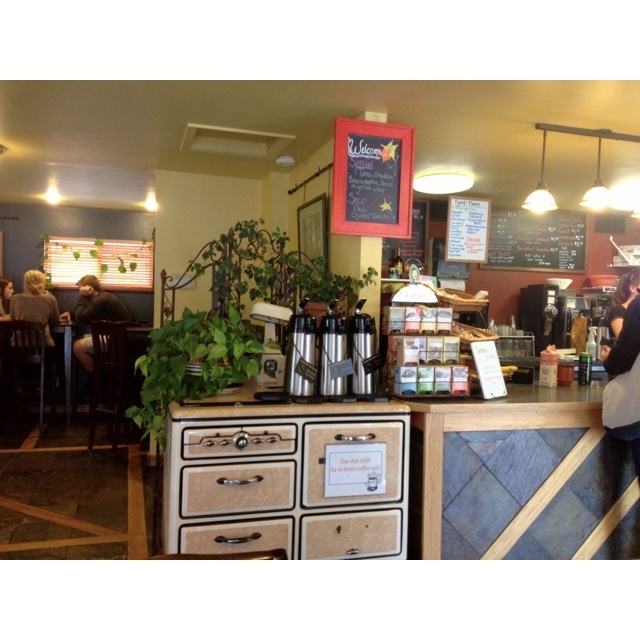 Here is a spotlight on two popular coffee shops that have something to say about Starbucks. The Grounds is a local coffee and internet hub in Laramie, downtown on 3rd Street. Grounds owner, Jill Edwards, talked about the Ground’s strengths against Starbucks. She said, ” I believe that our strengths are that we are locally owned and locally run. My family has lived in Laramie for over 100 years.”. 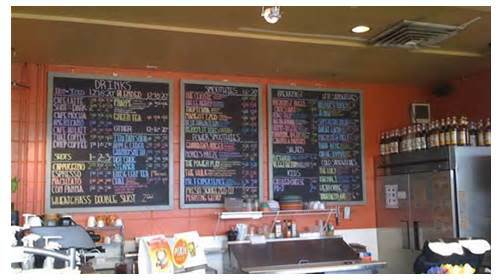 Local companies, like the Grounds, offer a more personable connection to customers. They give a unique experience to the community. Edwards stated, ” I would say 99 percent of the customers that come into the Grounds, I know on a first name basis. I think people like that personal touch.”. 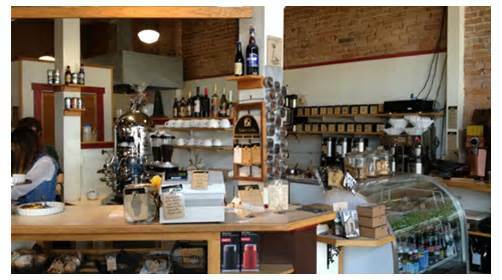 Coal Creek Coffee Company offers an eclectic experience in Wyoming. They specialize in the craft of coffee, and see it as an art form. A marketing component for Coal Creek is authenticity. They encompass a small town, hand-crafted, one of a kind experience. John, an employee at Coal Creek shed some light on how they are doing with Starbucks coming into town. He said, “We have had to lay off employees. It’s hasn’t been good. Sales are dropping.” Before Starbucks, Coal Creek was the most competitive coffee house in the area. When asked what their strengths are going against Starbucks, John said, “Small batch coffee. We do direct trade with farmers. Also we are SCAA certified which is the Special Coffee Association of American. They specialize in the art of coffee. For example, foam art competitions. Coal Creek’s association with SCAA and direct trade with farmers is what makes them authentic as a local coffee company and is what they are clinging on to for survival. What is Starbucks doing to have this impact? Laramie’s Starbucks has continued to exceed their daily goals in sales. A shift manager at Starbucks, Rebecca Squires, gives a day in the life on a typical Tuesday for Laramie’s Starbucks. She states, “Our daily report for today shows that we have served 783 customers. We still have 4 hours until we close. This late in the evening, we average 20 customers every 30 minutes. It’s safe to say that we average 1000 customers a day”. Starbucks has been here for a month, and they are serving 1000 customers a day. Coal Creek has been here for over 20 years, and they have to lay off employees. The fact that Starbucks has instant customer loyalty shows that companies are going to be hurt by the impact of Starbucks. The local companies are going to cling to everything they have; History, legacy, skill, authenticity, and craft. At the end of the day, it is up to the customer.